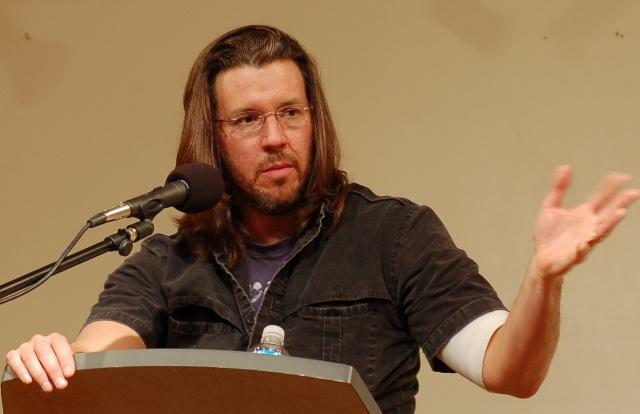 The writer David Foster Wallace is regarded by many as the most important novelist of his generation. His door-stopper tome Infinite Jest made him a literary rock star, and his writing probed the very nature of what it means to be human. Sadly, he took his own life in 2008. New Yorker staff writer D.T. Max has written a biography of Wallace, revealing him as a restless soul who dealt with agonizing depression and addiction even as he created work of immense artistic import. Max joins us on Tuesday to examine Wallace’s life and work. Read David Foster Wallace's essay "Federer as Religious Experience," widely thought of as one of his best works of nonfiction. D.T. Max is a staff writer at the New Yorker. He's the author of The Family That Couldn't Sleep: A Medical Mystery. His new book is called Every Love Story Is a Ghost Story: A Life of David Foster Wallace.